A man has reportedly married the love of his life who recently died at her funeral last week and the ceremony was attended by dozens of people. 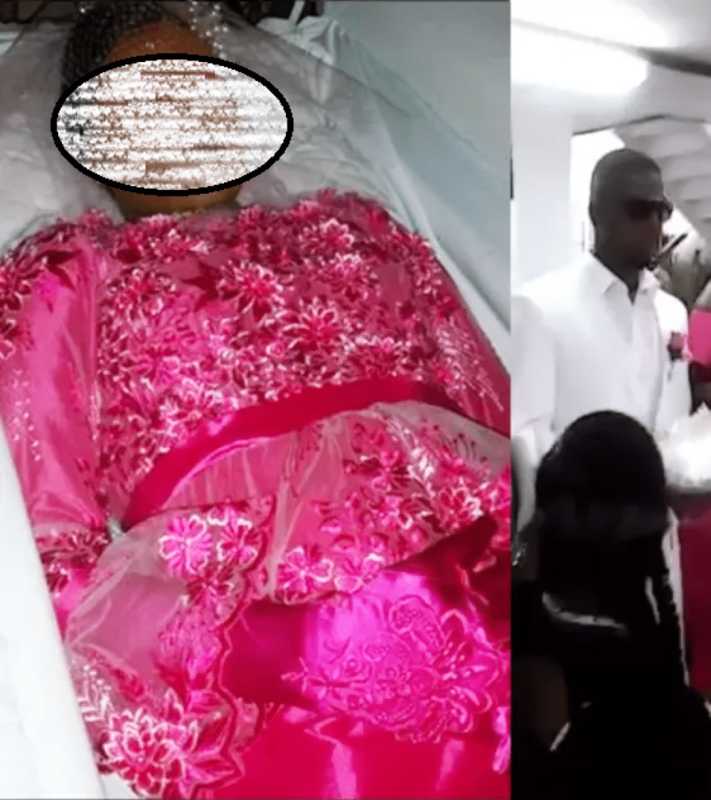 It not clear where the unorthodox ceremony took place, but in the viral footage and photo, the deceased bride who had freshly been embalmed is seen in her casket wearing a beautiful dress. Her husband is also seen wearing a white suit as he walks down the aisle in the company of another lady. 0 Response to "Man Marries His Dead Fiance At Her Funeral (Watch Video)"